Want to escape the winter cold? South Florida offers some… – Sig Nordal, Jr.
Want to escape the winter cold? South Florida offers some amazing public lands getaways. 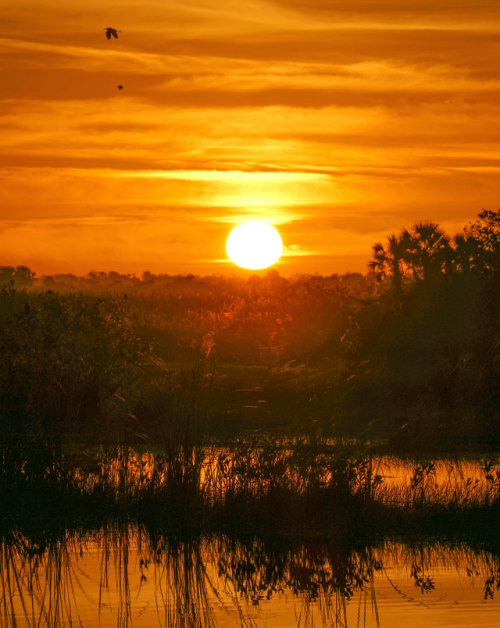 Don’t miss sunrise at Big Cypress National Preserve. The orange light shimmers on the wetlands as a terrific variety of wildlife greets the morning. You’ll forget all about the snow at home. Photo by National Park Service.